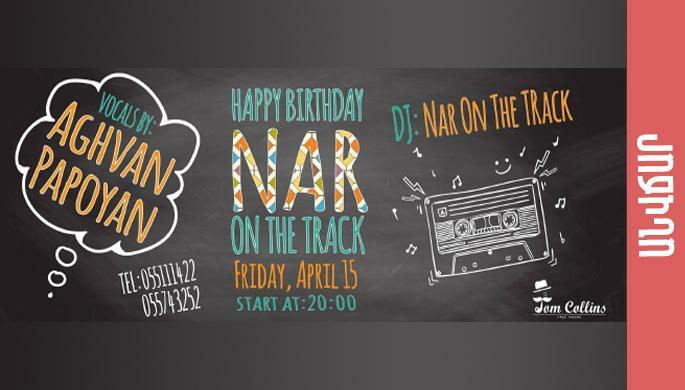 Come and celebrate with us Nar On The Track's birthday who is a producer and was nominated for Grammy Awards in 2015. Aghvan Papoyan will be there too as a special guest. There will be more surprises.